In 2015, the European Federation of Neurological Associations [EFNA], together with Pain Alliance Europe, will launch an MEP Interest Group on Brain, Mind and Pain in the European Parliament. Co-chaired by MEPs Marian Harkin, Daciana Sarbu and Jeroen Lenaers, the purpose of this group will be to raise political awareness of the impact of neurological and pain disorders. EFNA is striving towards policy solutions aiming to prioritise these disorders, encourage research, increase access to innovative treatment, improve quality of life and decrease stigma. EFNA sees this Interest Group as a forum to highlight the issues and challenges that are affecting neurology and pain patients – and their carers – across the EU member states. It also wishes to showcase the good work that is happening across Europe that could be replicated elsewhere. However, to achieve this aim EFNA recognises the need to develop a closer working relationship with national patient organisations. 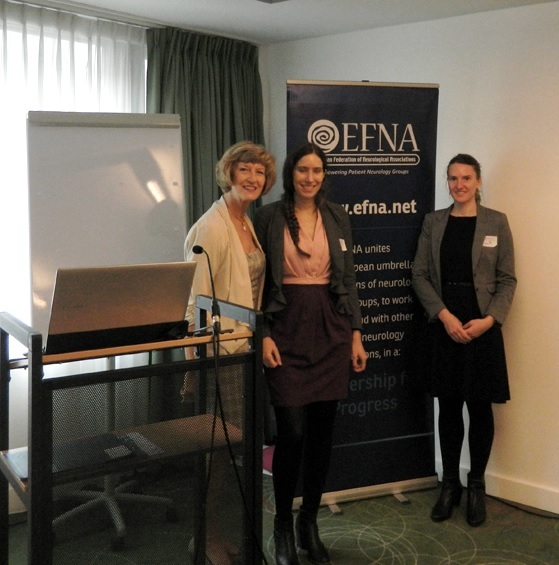 On September 24th and 25th in Brussels, EFNA held its Advocate for Brain, Mind and Pain Workshop to allow for representatives of national neurology and pain patient organisations from across Europe to have their say on the issues that need to be on the European health agenda. Whilst Day 2 focussed on the issues needed to be tabled in Europe, Day 1 focussed on creating structures for communication between the national and European platforms. 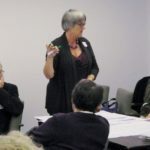 An introductory presentation from the European Patients’ Forum highlighted the growing competence of the European institutions in healthcare. It also outlined examples of how national and European organisations can work successfully in tandem. EFNA would like to replicate the EPF membership structure; encompassing pan-European disease-specific groups and national patient coalitions, by opening its membership to National Neurological Alliances. Neurological alliances bring together and represent organisations working on a wide range of neurological issues, such multiple sclerosis, epilepsy, stroke and many more. Alliances allow organisations with similar interests to be heard as a collective voice for greater impact. 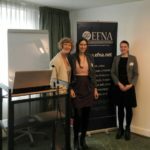 At the workshop, EFNA launched Stronger Connected – the EFNA guide to building national neurological alliances. This is a collection of experiences and advice from existing alliances. These groups have been successful in putting neurology policy issues on the agenda, sharing experiences and resources, and rolling-out/participating in various projects and initiatives. So, EFNA wants to inspire and encourage organisations in other countries to follow their lead. Existing alliances are also invited to get in touch and get involved! The first meeting of the MEP Interest Group is scheduled to take place in February 2015, keep checking www.efna.net for more details.